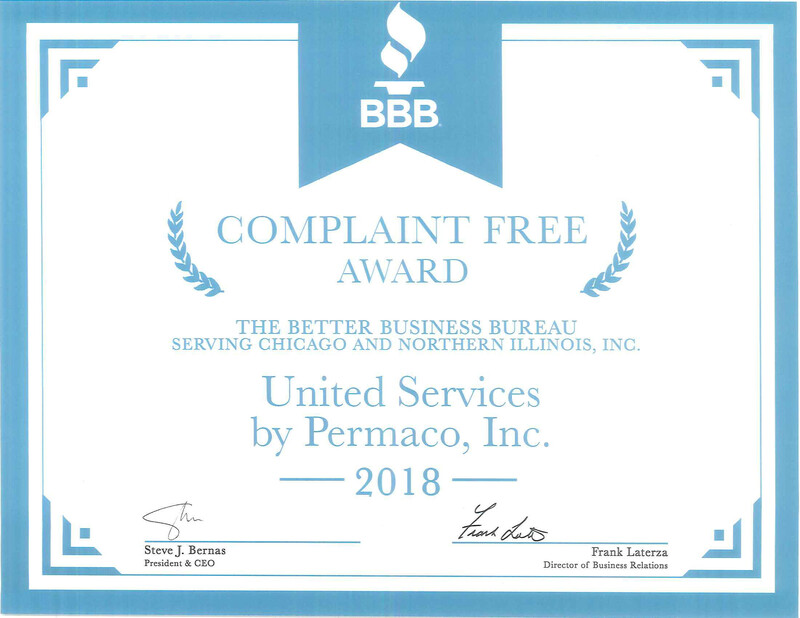 March 20, 2019 – United Services by Permaco, Inc., a member company of DKI, proudly announced they have received the Complaint Free Award for 2018 from the Better Business Bureau (BBB). 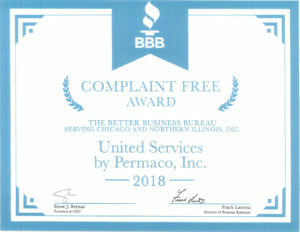 This is an honor exclusive to BBB accredited businesses in the Chicagoland area that have not received any complaints in the past year. United Services has been an accredited member of the BBB for 25 years and maintains an A+ rating. About United Services by Permaco, Inc.
United Services is a full-service restoration company and general contractor, specializing in the cleaning and restoration of buildings and personal property. With over 35 years of experience, their highly trained and IIRC certified team provides emergency service 24-hours a day, 365 days a year. Learn more at callusfirst.com.